Morris looked at the candy. “They are one for a penny. Morris looked. He had six pennies. “I have four pennies,” he said. The man laughed. “You have six! The rest of the book answers this question, as Morris immediately heads off to school and learns lots of new things. Perhaps most importantly, by the end of the day he knows how to purchase the right amount of gumdrops. 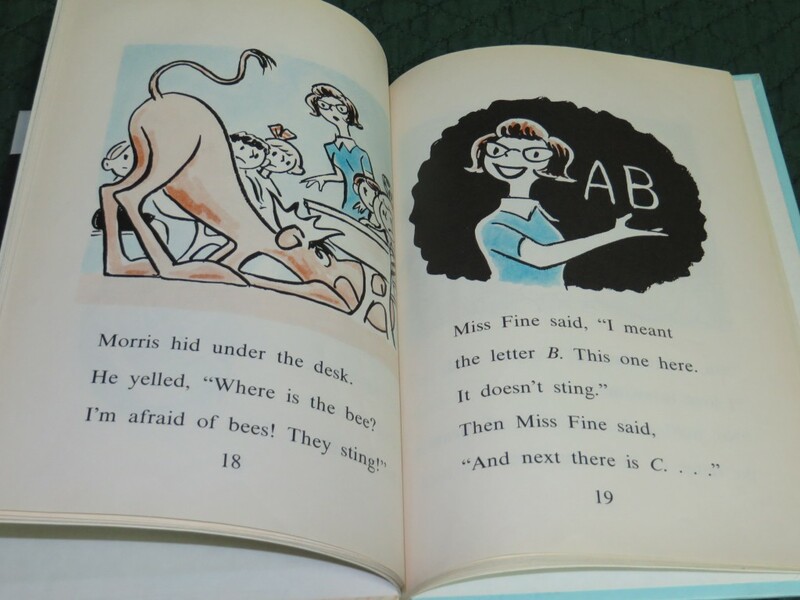 Morris takes things very literally, and the resulting misunderstandings (like in the picture above) really tickle my youngest (who is getting ready to start school himself). This book also presents many opportunities for him to participate in the reading (for example, by counting Morris’ pennies). The last time I wrote about Frog and Toad, this series didn’t interest the boys much. But recently they developed a strong interest in A Year with Frog and Toad, a musical based on the books (and a wonderful show, if you ever get a chance to see it in person), and now really enjoy the books. 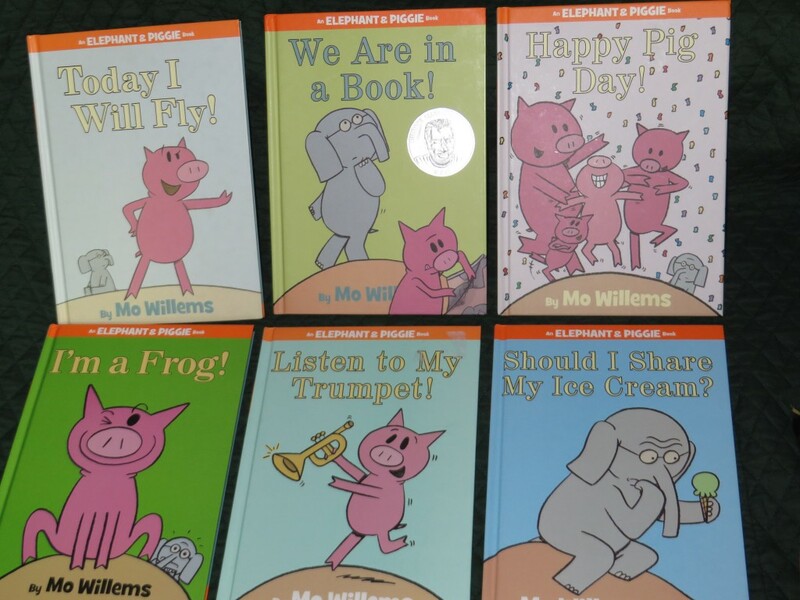 Like Mo Willems’ Elephant and Piggy series, the two best friends in this series have very different personalities. 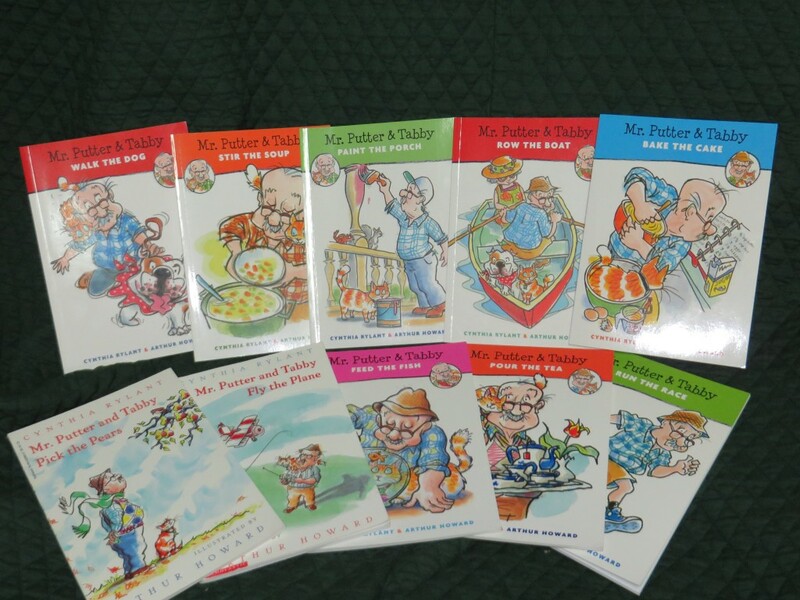 The Frog and Toad series is less laugh-out-loud funny than Mr. Willems’, but is still humorous and often tender. Some of our favorite stories are “Shivers,” from Days with Frog and Toad; “Spring” and “A Lost Button,” from Frog and Toad are Friends; “Cookies,” from Frog and Toad Together; and “Down the Hill” and “Ice Cream,” from Frog and Toad All Year. Posted on May 10, 2014 | Comments Off on Are You My Mother? Expecting her baby to arrive soon, a mother bird leaves her nest and egg to gather food. When the baby hatches ahead of schedule, he goes out to search for her (without having any idea what to look for). After much confusion, there is a joyful reunion. The language here is basic. Prosaic, even. 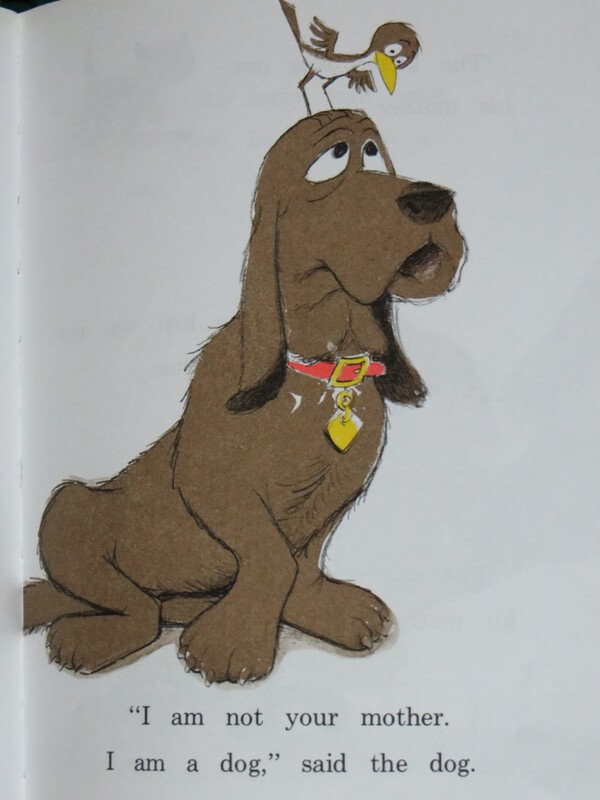 But the pictures are great and the concept reliably amuses (my mother used to read it to me). Comments Off on Are You My Mother? 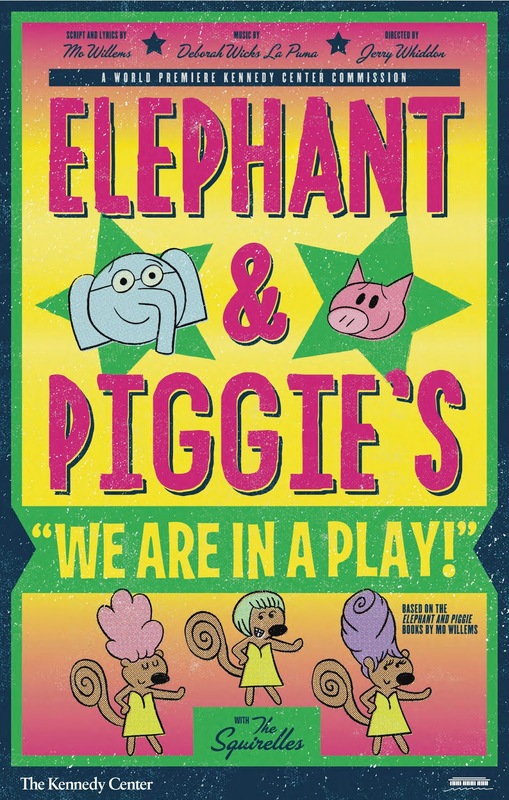 The Elephant & Piggie series focuses on the interaction of two best friends: Elephant (who is generally cautious and anxious) and Piggie (who is generally spontaneous and joyful). (This odd-couple pairing reminds me of Arnold Lobel’s Frog and Toad–the stars of a series that I remember fondly but doesn’t interest the boys much.) 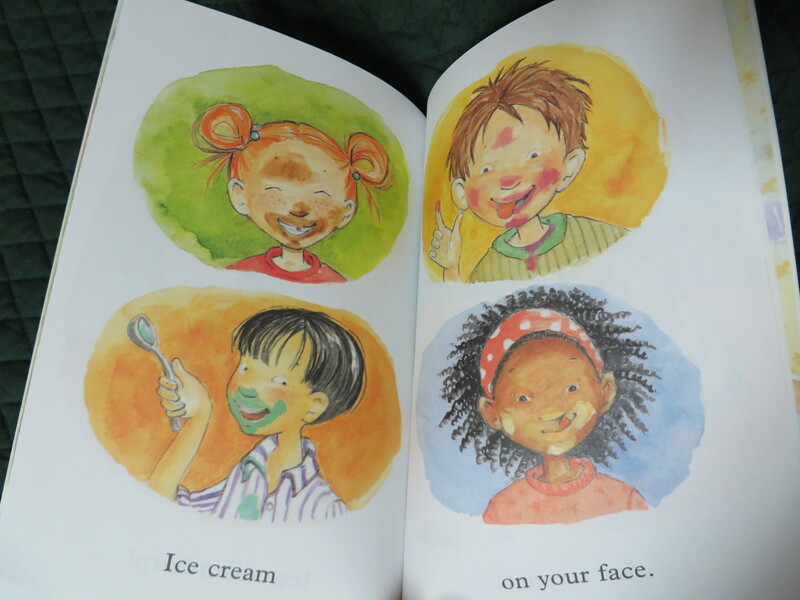 The books are very funny and inspire lots of dramatic reading aloud and laughter. They are very popular at home, at school, and during trips to the library and the Kennedy Center. I think the books pictured above are the very best of the series, but it would be hard to go wrong here. Tagged Animals, Arnold Lobel, Elephant & Piggie, food, Frog and Toad, Happy Pig Day!, I read this as a kid, I'm a Frog!, Kennedy Center, Listen to My Trumpet!, Mo Willems, series, Should I Share My Ice Cream?, Theodor Seuss Geisel Honor Book, Today I Will Fly!, We are in a Book!, We are in a Play! Posted on February 13, 2014 | Comments Off on Ice Cream Everywhere! 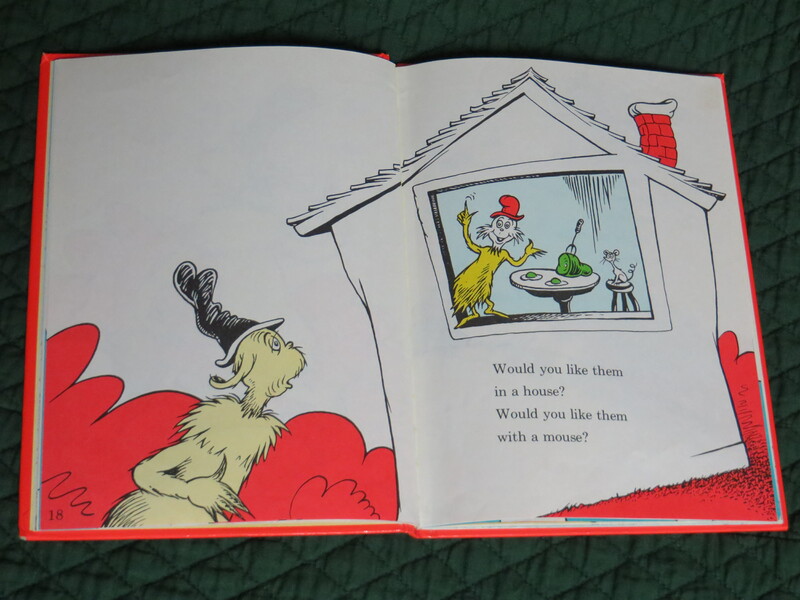 This very simple early reader has sweet pictures and rhymes that are not forced. But the biggest draw, of course, is that it is about one of the boys’ very favorite subjects. Comments Off on Ice Cream Everywhere! Sure, I could talk about what a classic this book is. How funny it is. Its cadence. Its illustrations. All wonderful. But the most wonderful part of all is that last night my oldest read (not recited!) about the first 25 pages of it to us. He’s an official reader now!